In an age when health and fitness trends can change as fast as your cell phone becomes obsolete, it is hard to pinpoint what is truly fresh and best in the exercise arena. However, with the amount of variety with which we can engage in our health and wellness journey, there remains little room left for excuses. We all know exercise and eating right has the potential to not only prolong life, but can also make life much more enjoyable. The mind and spirit also reap great rewards when we take proper care of our bodies. 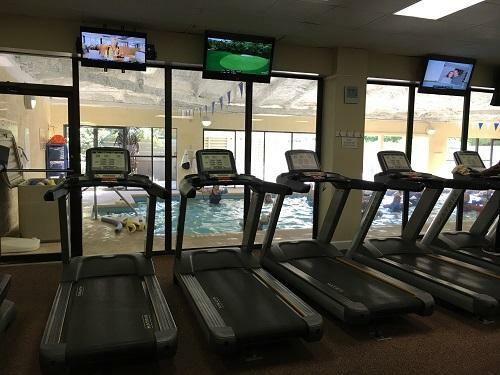 Here at The Fitness Center at S.R Hotel on Hilton Head Island we offer many routes to get you started or keep you going on your health and wellness journey. Keep in mind, getting creative with your workout can go a long way to helping you stay the course. If your preference is working out on the gym floor, don’t stick to your same training routine every week, day after day. Not only will this get boring fast, your muscles will acclimate and stop growing if muscle confusion is not a part of the mix. If it’s a group setting you prefer, we currently offer 21 classes, 6 days a week. From Yoga and Pilates to Cardio Sculpt and Spin, our variety of classes are on the schedule mornings and evenings and these are all included in your membership. 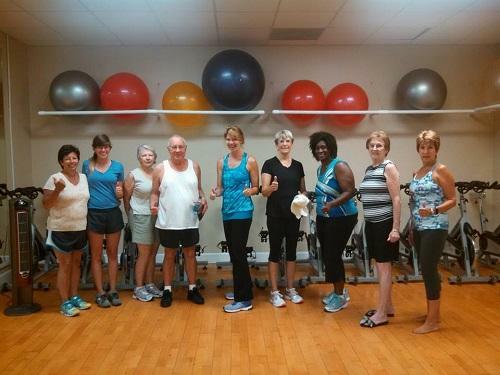 Water Aerobics, Senior Zumba and Silver Sneakers classes are also provided for our aging population who want to keep moving and it’s a great place to make new friends! Knowledgeable fitness staff and trainers can assist with mixing things up creatively and safely. We do have certified Trainers and Instructors available here, but if you don’t have access to such individuals where you are, do your homework via the internet to get creative ideas. Creative use of bands and balls can be a great alternative to a day of weight training and we have plenty at The Fitness Center available for your use. If your game is weight training, try doing more plate work than sticking to dumbbells, barbells and machines. If classes are your cup of tea, don’t just do Yoga every week, Pilates is a wonderful compliment to Yoga if this type of workout is best for you. If you prefer cardio classes, swimming or Spinning instead of the traditional cardio class can burn tons of calories and help keep things fresh. Don’t forget that participating in a wide variety of classes can really help you achieve several goals and get or keep you in top shape. Hitting the elliptical machines and catching up on some reading or the latest news once in a while instead of busting it out in a group setting can be a nice change of pace if you normally attend 3-7 classes a week. Our new step mill and water rower are tops in the industry and recumbent elliptical machines line our gym floor along with plenty of treadmills. Never get bored here! Our gym, located at 35 Deallyon Ave., has all the classes and equipment you need to keep a creative approach alive and well. We are fully equipped with dumbbells, barbells, Smith machine, Nautilus and elliptical equipment and then some. We also have an indoor junior size Olympic pool to help further your creative approach on your health and wellness journey. Our variety of membership types are as plentiful as our equipment, so call us at 843-785-3024 or stop by The Fitness Center today! Visit our website for hours and class schedules.